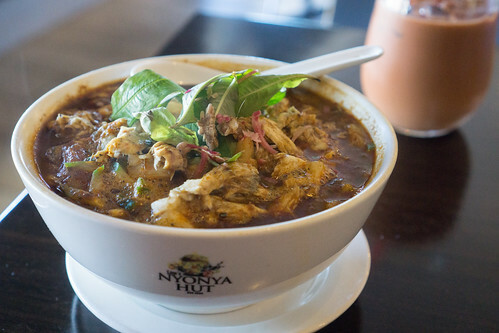 Lim’s Nyonya Hut is located in Donvale (Update: Has since closed down), in the eastern suburbs of Melbourne, offering a variety of Malaysian dishes such as Rendang, Char Kway Teow and Laksa. 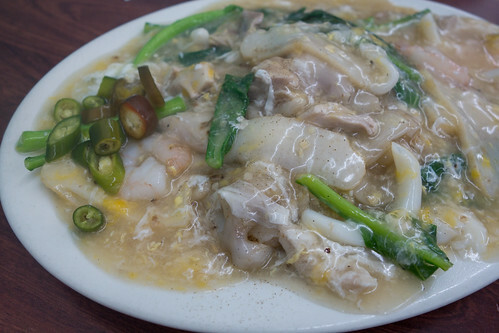 While they do have a good selection of individual dishes, they also do offer main/sharing dishes like Nyonya Grilled Fish and Curry Chicken. 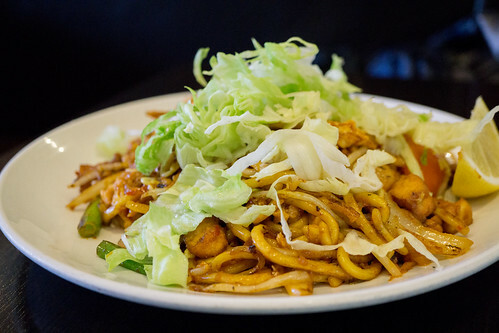 Their Mee Goreng is served with prawns and topped with lettuce, peanuts and fried shallots. 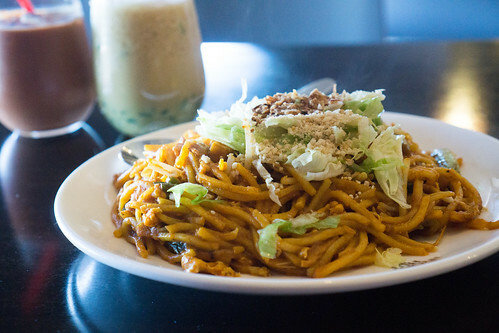 I prefer my Mee Goreng to be a bit drier but flavourwise it wasn’t bad, but not spectacular either. I’d also prefer it to have chicken in it like most other Malaysian restaurants include in theirs. 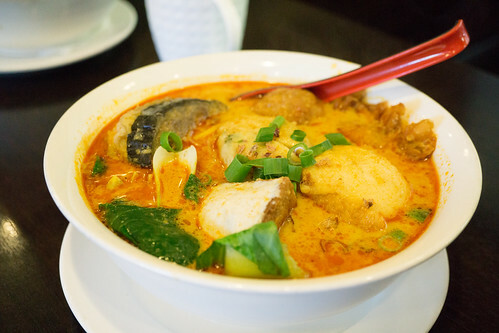 The Assam Laksa lacked that balance of sweet and sour, and was also lacking in that fish taste for the broth. 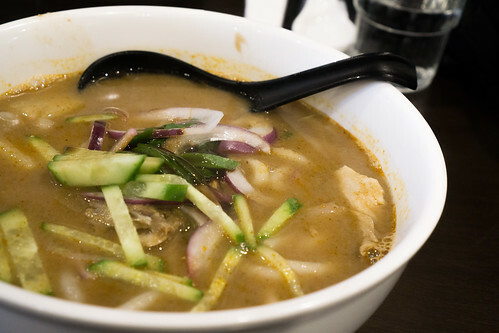 Again, it wasn’t bad but there’s better Assam Laksa’s around, for instance O’Town (Glen Waverley) and Chef Lagenda (Flemington). 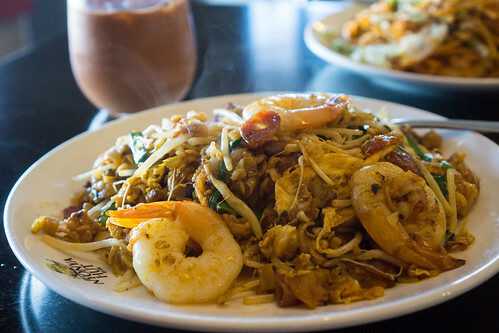 The Char Kway Teow, while it had that lovely wok flavour. 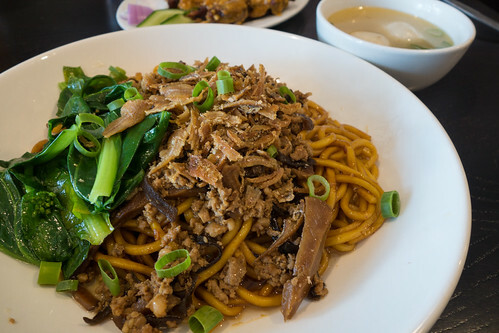 Lacked that spicy kick, and the noodles were all stuck together so the flavour doesn’t carry through the dish evenly. 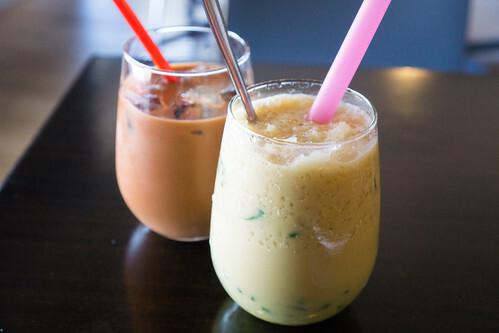 The Ice Teh Tarik had a nice tea flavour to it, although a tad too sweet. I’d also prefer it to have a stronger tea flavour but that’s hard to come by. 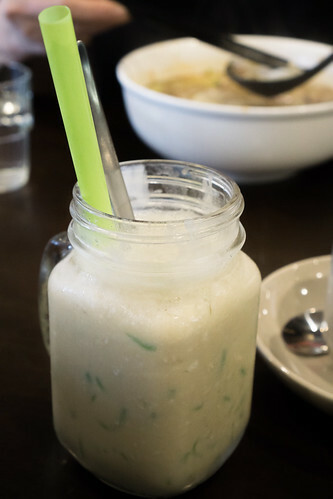 The Cendol drink had fresh green jellies, but the ratio of palm sugar syrup and coconut milk was a bit off. It needed a bit more palm sugar flavour. Otherwise it’s just coconut milk! Overall, if you’re around this part of town, there isn’t really that many Malaysian restaurants to choose from. I wouldn’t go out of my way to dine here, especially when there’s better Malaysian restaurants around Melbourne. 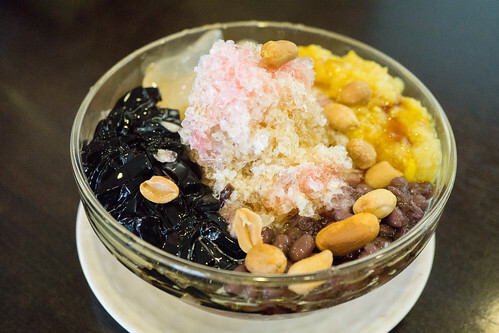 O’Town in Glen Waverley replaced Hakka Tea House this year. 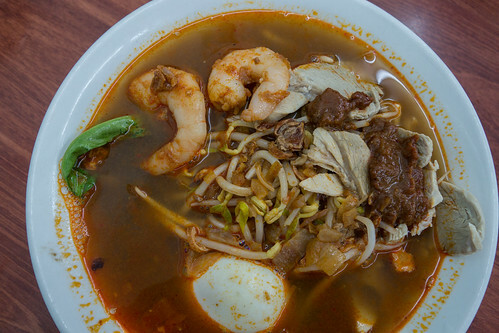 O’Town specialises in Penang cuisine, many of my favourite Malaysian dishes have origins in Penang such as Char Kueh Teow, Har Mee and Mee Rebus but of course you can find many of these dishes elsewhere in Malaysia but it’s telling that there are eateries in Kuala Lumpur/Selangor that prides itself on Penang dishes. O’Town’s decor is very reminiscent of the streets of Penang, with its British influence and Penang’s famous street art replicated on the walls. 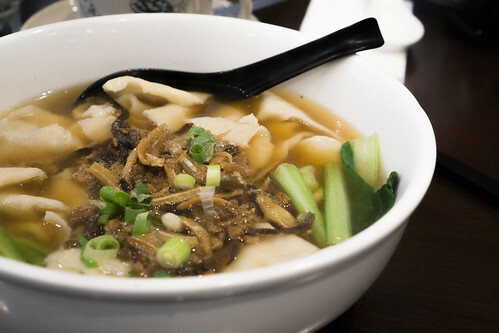 O’Town’s Hakka Kon Loh is served with fishball soup and taste wise it was oddly familiar, like a drier Pan Mee because of the mushrooms and crunchy anchovies. It’s subtle in flavour as I did require some sliced chilli to go with it but I was happy with the flavours nonetheless. 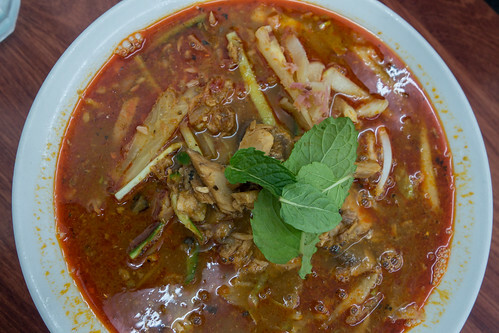 The soup is pretty much your typical Asian stock soup so nothing really out of the ordinary. The Chicken Satay’s here aren’t grilled, instead its deep fried. So it has this crispiness to it, however it isn’t quite the same as the smokiness of a grilled satay stick. 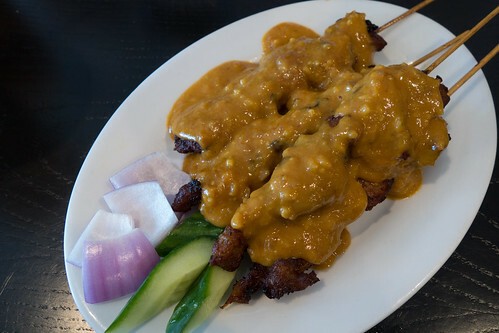 The peanut sauce is pleasant, with a wonderful nutty aroma I preferred it to the actual satay to be honest. That’s not to say it’s a bad satay dish, just different. 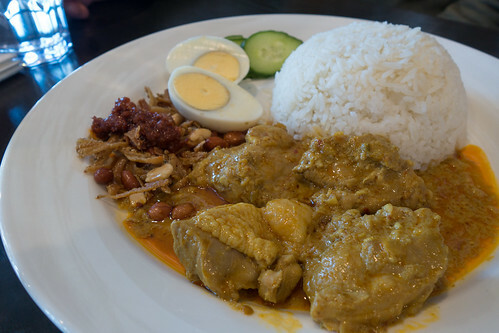 O’Town’s Nasi Lemak comes with a very tasty Chicken Curry. I loved the creaminess of it, yet not overpowering with the spices. A good balance of ingredients. The sambal is nothing really to run home about but definitely above average. 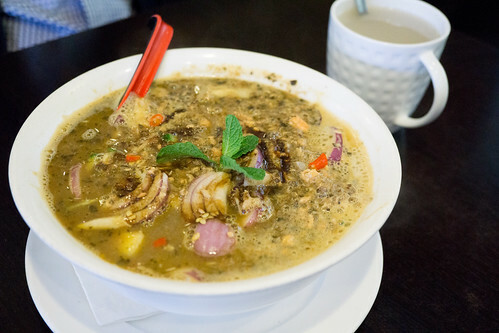 When ordering the Assam Laksa we were worried they would use sardines instead of other fish, luckily our worries were squashed as they use small fishes but definitely not sardines. Sardines give off a very strong fishy flavour which, more often than not, overpowers the Laksa flavours. 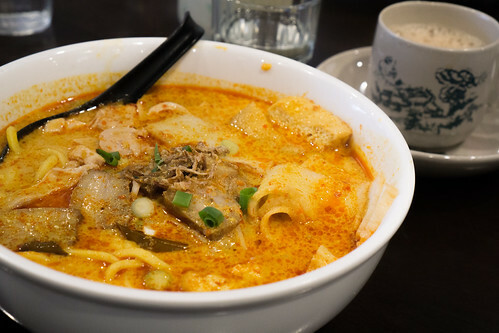 Here the Assam Laksa has a lighter soup base taste but it’s one of the better Assam Laksa’s around. 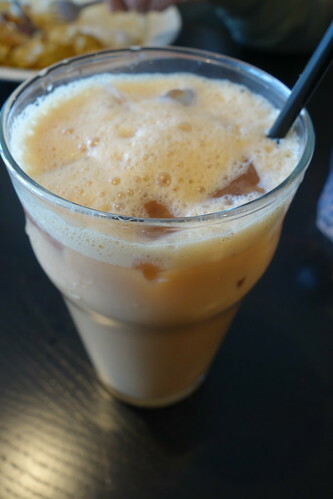 The Ice Teh Tarik is not bad a bit light as I actually prefer a stronger “Teh” flavour. 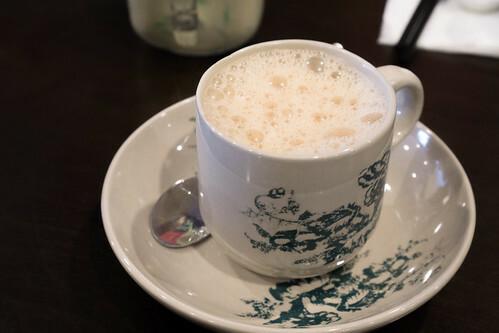 When talking to one of the staff, it appears that initially the Teh Tarik here did indeed have a stronger tea taste to it but people complained (what!). 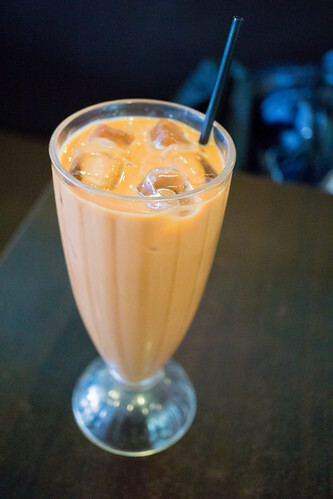 In any case, the staff mentioned you can request for a stronger Teh Tarik if that’s to your liking. 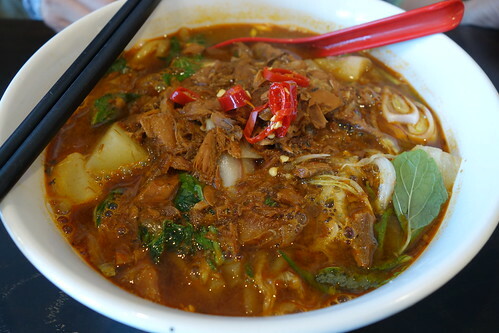 O’Town makes a mark in Glen Waverley, adding to the Malaysian restaurant scene and yet all have slightly different styles of Malaysian dishes due to their local origins (e.g Penang, Malacca, KL, Sarawak). The food here is on average pretty good, but nothing came across as amazing from the dishes we tried.